Lalaloopsy Magic Play Kitchen & Cafe Just $26! Down From $70! You are here: Home / Great Deals / Amazon Deals / Lalaloopsy Magic Play Kitchen & Cafe Just $26! Down From $70! Amazon is currently offering this awesome Lalaloopsy Magic Play Kitchen & Cafe for just $26 regularly $70 PLUS FREE shipping! 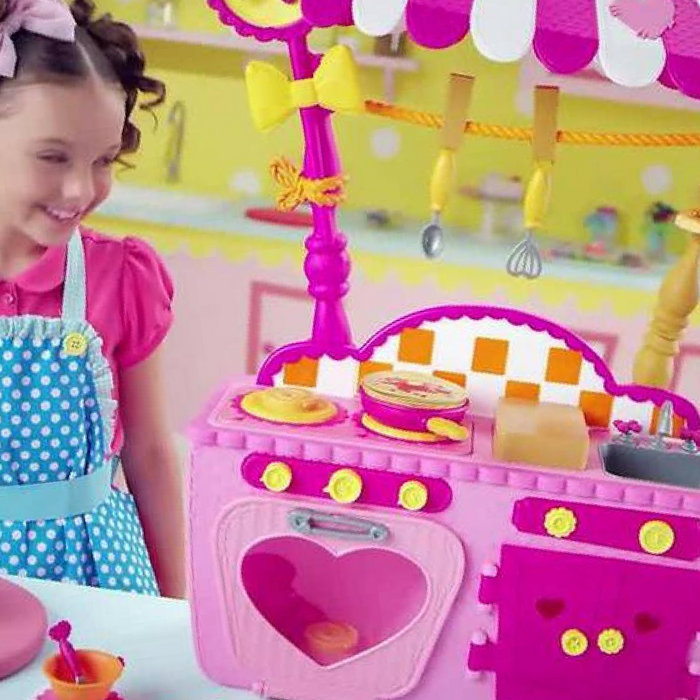 Keep your kids engaged with hours of baking fun with this Lalaloopsy Magic Play Kitchen and Cafe. It magically cooks with air. The Lalaloopsy play kitchen makes the cake rise in the oven and the pancakes rise on the stove by pushing on the cutting board. It comes with over 15 utensils and accessories. Suitable for kids ages 4 years and older, this playset makes a thoughtful birthday or holiday gift.